Show off your style with this beautiful piece from Delta. This classic dual-control faucet is easy to match a lot of bathroom looks. Its deck mounted design makes it easy to set up and looks great with many sink types. This faucet is WaterSense certified for less water use to give you the same clean. This new piece from Delta brings fresh water fast and adds a stylish look to any bathroom. If you want to renew the look of your bathroom, this dual-control faucet is perfect. This item's deck mounted design completes your bathroom with quick and easy set up. This faucet is WaterSense certified, using less water to work so you have a smaller utility bill. Update the look of your bathroom with this high-class, useful piece from Delta. Make your bathroom look even fresher with this single-control faucet. Add more beauty to your bathroom with this item's easy-to-install, deck mounted design. This faucet is also WaterSense certified to help you and the environment stay clean. Brand new style meets all-around use in this beautiful piece from Delta. This single-control faucet has a timeless design that looks great in any bathroom. This item's deck mounted design is easy to set up so you can enjoy a finished counter top. This faucet is also WaterSense certified so you and the environment can enjoy less water use but also stay clean. Add a modern look to any bathroom with this piece from Delta. Redo the look of your bathroom with this beautiful single-control faucet. This item's easy-to-install deck mounted design gives a fresh look to any counter top. This faucet is also WaterSense certified to help you and the environment stay clean. Centerset (4-inch) 2-Handle High Arc Bathroom Faucet in Bronze with Lever Handles Show off your style with this beautiful piece from Delta. This classic dual-control faucet is easy to match a lot of bathroom looks. Its deck mounted design makes it easy to set up and looks great with many sink types. This faucet is WaterSense certified for less water use to give you the same clean. 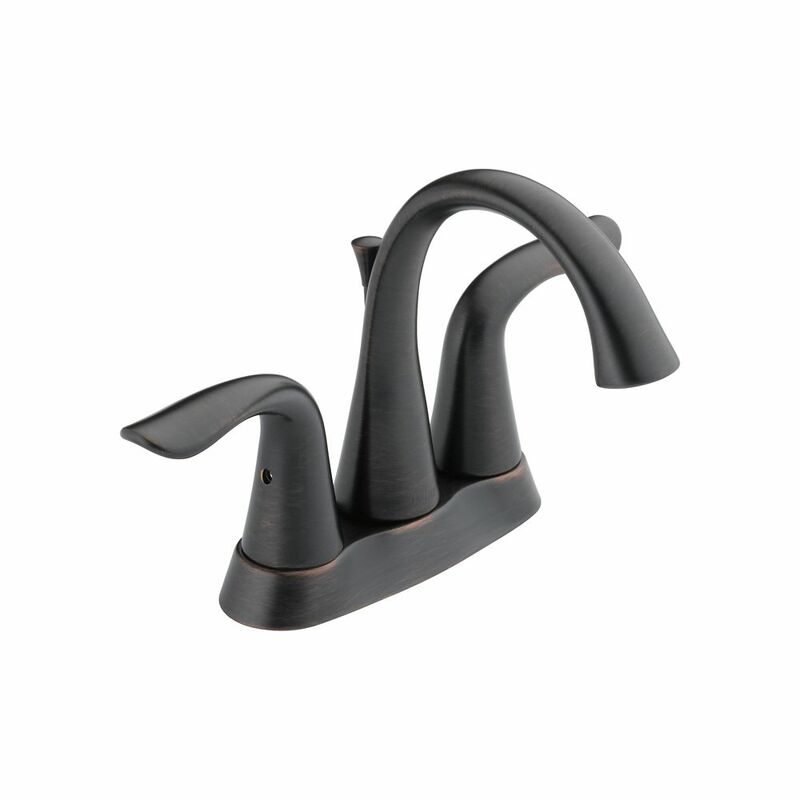 Centerset (4-inch) 2-Handle High Arc Bathroom Faucet in Bronze with Lever Handles is rated 4.6 out of 5 by 100. Rated 5 out of 5 by Shalane from Purchased the towel ring and toilet paper holder as well.... Purchased the towel ring and toilet paper holder as well. All the pieces were easy to install and really make the bathroom look amazing!